Vivekabhāskara is the name of department’s wall magazine. Vivekabhāskara started its journey on the birth anniversary (Jan 12th) of Swami Vivekananda in 2015. This magazine provides opportunity to the students to discover, showcase and develop their creative writing skills. 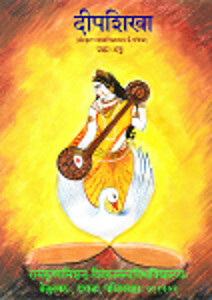 Students can publish stories, poems, slokas, novels, etc. It also helps the students to increase their knowledge in Sanskrit language. The magazine is edited thoroughly before publication. The editing work is done by students under the guidance of the faculty. Original and innovative writings are given preference over others while selecting from all the works submitted by the students of the department. Our Vice-chancellor or some respected guest inaugurates the magazine.